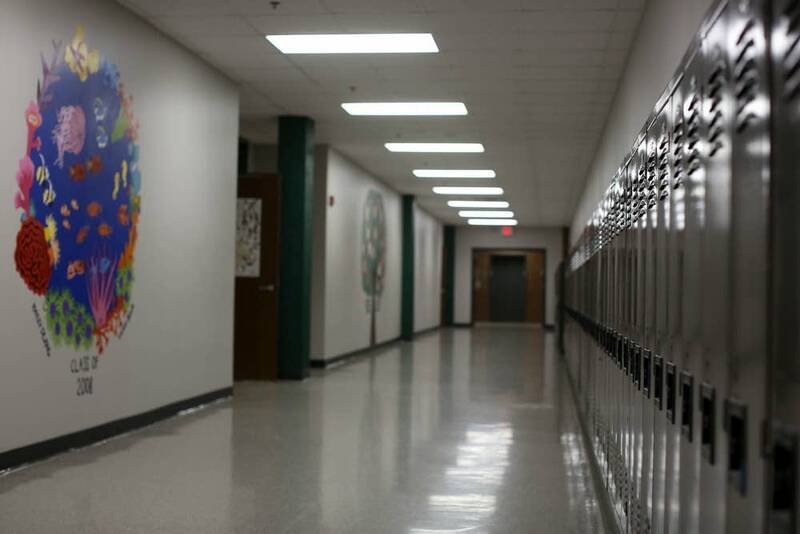 Some people thought the criticism of the Edina Public Schools would die down after a hard-fought school board election last fall. Those people were wrong. Instead, a critique that began with a post on the website of local conservative think tank Center of the American Experiment has garnered national media coverage and found a new audience this month in hearings at the Minnesota legislature. Center of the American Experiment president John Hinderaker said it all started when he criticized a staff editorial that appeared in the Edina High School student newspaper shortly after the 2016 presidential election. The editorial promised to protect students who may have felt targeted during the campaign, including "black, Hispanic, Muslim, Jewish, LGBTQ+, and female" students. It referenced students crying the morning after the election. Hinderaker called it "political editorializing" in a post on the Center's website. "After I did that we started getting emails, and comments on that post, and comments on Facebook and so forth from people in Edina ... talking about the bullying climate in the Edina Public Schools," Hinderaker said. Stories in the fall 2017 and winter 2018 issues of the Center's magazine blamed falling test scores at Edina High School on "indoctrination" and curriculum that teaches students about race and white privilege. The Golden Valley-based Center of the American Experiment is part of the State Policy Network, a nation-wide web of think tanks that aims to promote conservative state-level policies. During the fall of 2017 — as Edina voters weighed candidates for four school board seats and a school tax referendum — Fox News, Breitbart, a blog by Newt Gingrich and the neo-Nazi website Daily Stormer all picked up the story. Katherine Kersten, the author of the Center's two magazine articles, appeared on Fox & Friends in October 2017. Hinderaker presented the critiques at a meeting of the local Republican party. The coverage sparked a thread on the white supremacist website Stormfront. A thread on the anonymous internet forum 8chan posted a street address and phone numbers for an Edina English teacher and said, "We need to literally crucify her and destroy her completely." The Edina school tax referendum passed in that election. Both incumbent school board candidates lost their seats. Then after the winter magazine article, Kersten wrote about her critiques in The Weekly Standard, and Breitbart again picked up the story. Center of the American Experiment has continued to post similar criticisms of Edina schools on its website. "It's been a very stressful year," said Edina English teacher Tim Klobuchar, a distant cousin to Minnesota's U.S. senator of the same name. Klobuchar wrote the post-election student newspaper editorial and said he's received negative email messages from inside and outside the district. Klobuchar and several other teachers dispute the claims of an anti-conservative atmosphere. Klobuchar said feeling uncomfortable can be an important part of learning. "Sometimes when you cover these hot-button topics you do have to face some uncomfortable truths ... Learning can be uncomfortable, but it shouldn't be an alienating experience, and so that's what I make sure that I try to avoid in my classroom," Klobuchar said. Edina superintendent John Schultz said since he joined the district last summer, he hasn't seen an anti-conservative culture at Edina High School. "I have not had any experience that would indicate that kids' viewpoints aren't being listened to," Schultz said. Schultz said the district did train teachers last fall on how to handle controversial issues in class. 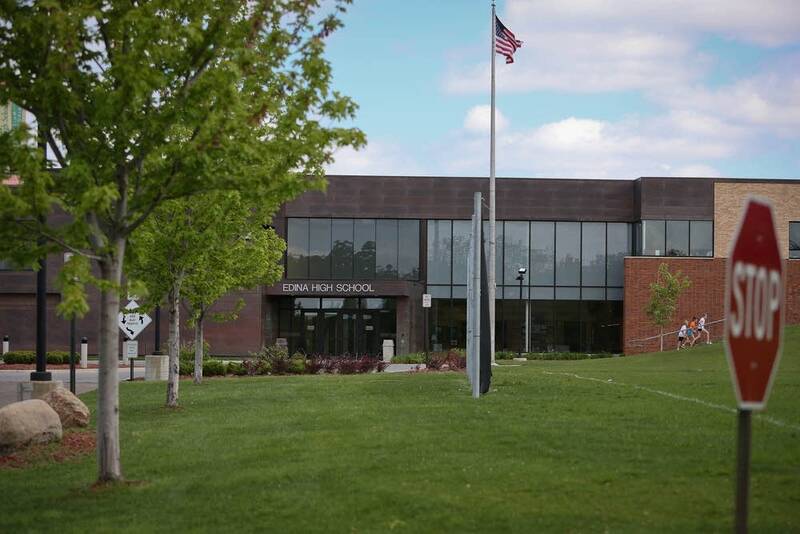 Schultz said district officials are working to find the cause of the drop in Edina High School test scores that the Center of the American Experiment articles cited. But he said other academic metrics paint a different picture. Test scores for the district overall have remained virtually unchanged for the past several years, as have graduation rates and ACT scores. Student performance on Advanced Placement tests has improved since 2013. Still the controversy shows no signs of dying down. Just this month Kersten brought her critiques to committee hearings at the Minnesota Senate. Legislators are considering a bill that doesn't specifically mention Edina but would forbid "indoctrination" in public schools. Former Edina student Kjiersten Carlson told the Senate education finance committee that she left the district because she felt targeted for being white and an Evangelical Christian. "I never could have predicted that in my year and a half at Edina High School I would be told on multiple occasions that my faith was illegitimate, that it rationalized and was responsible for 17th century slavery," Carlson said. Other Edina students said the debate is overblown. Junior Charlie Heinecke said the topics critics object to are essential material in classes like English. "Issues like race are such a big part of American literature and history ... you can't just ignore them, you're ignoring American literature if you do," Heinecke said. Heineke said while the adults debate legislation, Edina students he knows have moved on from the controversy. The bill prohibiting school indoctrination is in committee in the Senate, and as of Tuesday it had not had any committee hearings in the House. Solvejg Wastvedt is an education reporter for MPR News.